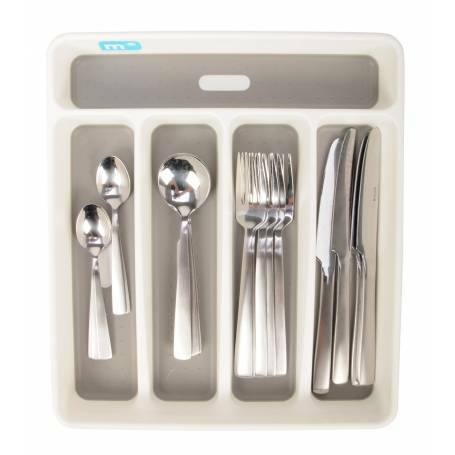 These modern stylish Madesmart cutlery trays have compartments that are lined with a non slip base to protect your silverware. The tray base has non-slip rubber feet to assist with grip to your drawer bottom or shelf. It has rolled edges offering a smooth tray finish.